Despite receiving local & international media attention and its tourism taking off, it has maintained its raw beauty. There aren't any hotels or big modern structures here. Those who want to spend a night would either have to camp or avail of a homestay (like we did) that offers basic amenities. Travelers who don't want to rough it up may opt for a day trip and stay in the mainland of Sta. Ana where there are hotels or travel from Tuguegarao city (where the airport is, but that's 3 hours away) *Check out hotels in Sta. Ana in Agoda. 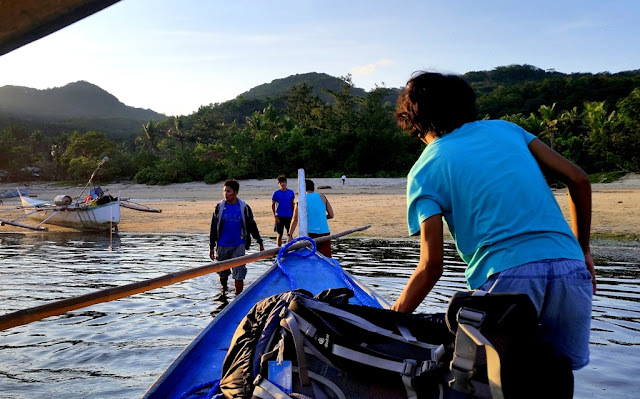 After a 20 minute boat ride from San Vicente pier, our group which included Gid, Coby, Julius, Tony, Gonz, Charles and Gab arrived at Punta Verde, the community where the homestays are located. As we neared the island,I looked in the water, it was like glass, you could see through it. I excitedly put a hand out in the water which felt warm, my first encounter with Palaui! 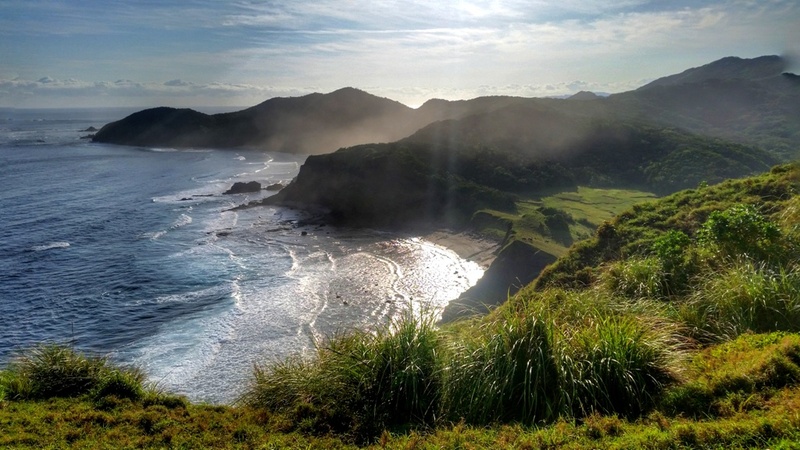 Palaui Island is declared as a protected landscape and seascape. Mutilating, defacing or destroying objects of natural beauty, or objects of interest to cultural communities (of scenic value) and other prohibited acts is punishable by law as stated in Republic Act 7586. The water was low, the boat had to stop just before the shore. We had to walk a few feet in the water. The sand is light brown and felt a bit coarse on the feet. Thankfully, our homestay was close to where we docked. As we roamed the island, we saw children playing outside their homes, a rare and relaxing sight for me. We also spent a few minutes by the shore, staring at the glassy water and listening to the sound of the wind. :) It was close to 6:00 PM, still early but it was already very quiet around the island. Our accommodation at Madam Elsa's place had two rooms and two bathrooms. It costs 250/head a night which was a good deal. The beds were supposed to fit 8 of us but we would be brushing on each other's skin if we pushed it. It would be quite awkward especially for me, the lone female in the group. Although the group's chemistry was good, most of us had just met a few days before. :P Two people in our group slept outside the rooms to get a good sleep. At 5:30 AM the next morning, we set off for our hike. Our group, with 8 people had to get two well-trained guides. One of them gave us a briefing and took the lead while the other, ate Noni, stayed at the back of the pack, ensuring that no one got left behind. We headed off first to Lagunzad trail,named after Filipino ecologist Dan Lagunzad who helped identified the flora and fauna in the island. Its entry point near the beach gave us a good view of the sunrise. It would have been a more glorious sight if not for the clouds partially covering the sun as it rose over a pink sky. The trail involved some light hiking passing inside a forest filled with marked trees and to a wide grassland with rolling terrain reminiscent of the landscape I've seen in Batanes. The highlight of the trail is what remains of Cape Engano, a lighthouse built during the Spanish colonization period, completed in 1898. 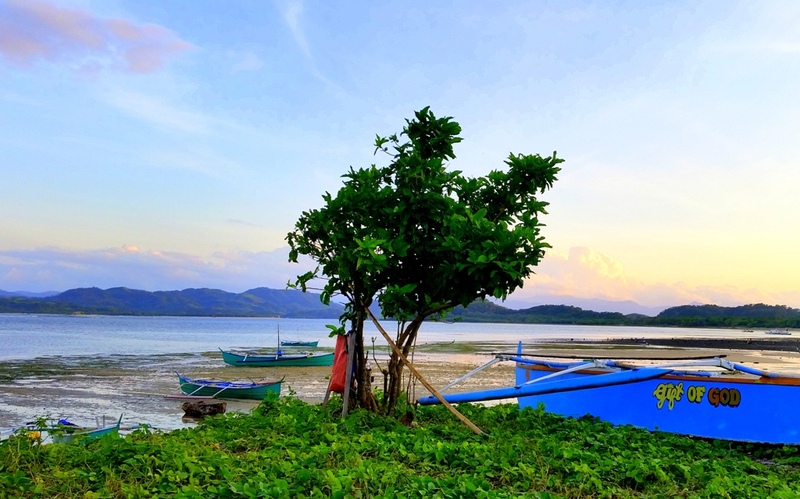 (Note : Those who don't want to hike can opt for a boat ride from Punta Verde). 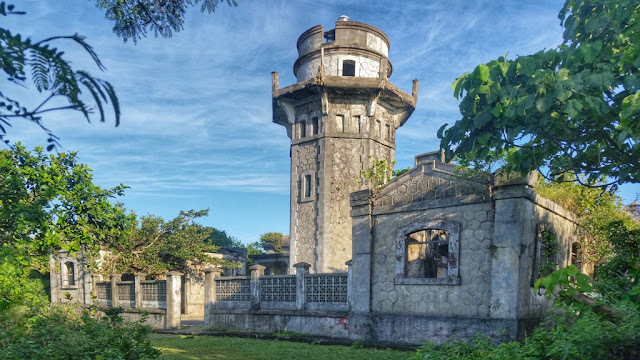 Situated on a hill, it not only offers a glimpse of history but also scenic viewing areas featuring Dos Hermanas island, Siwangag cove and sections of Babuyan group of islands. After visiting the lighthouse, we ate our packed breakfast (ordered from our homestay) at the registration area. There's a restroom and a store where you can buy cold drinks and souvenirs. 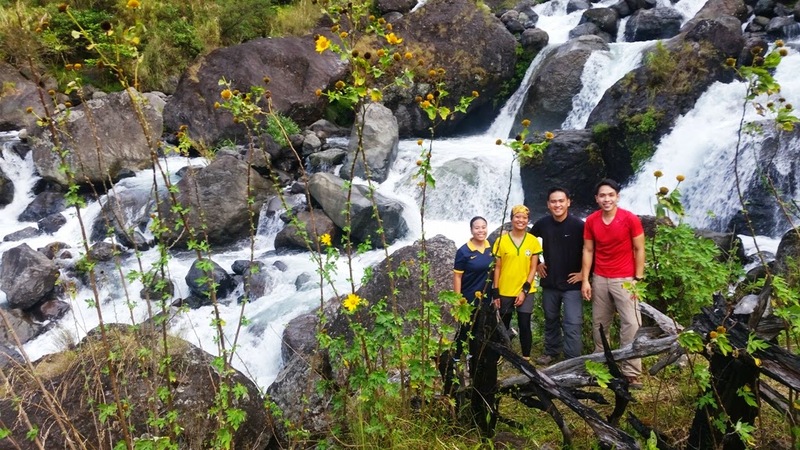 Leonardo's trail was three times tougher than Lagunzad trail with its steep rolling sections. When taking this trail, I advise you to bring ample snacks, water and footwear with good traction. It's a challenging hike and not advisable for those with knee injuries. By 12 noon, we were back to our homestay in Punta Verde where lunch of lobster, fish and shrimp was waiting. :) After another two hours, we boarded a boat back to San Vicente Port so we can travel back to Manila in the evening via Tuguegarao. An account of our hike in Palaui island is also posted on Gid's site, Pinoy Mountaineer. How to get to Palaui Island - check out this helpful guide by Lakwatsero. - apart from hiking, other activities include island hopping, snorkeling, diving. 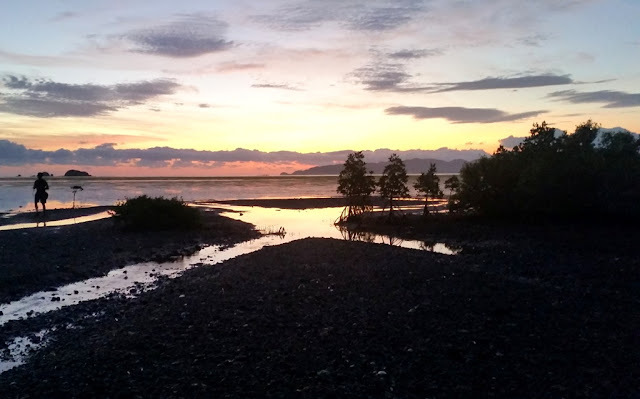 Once in Palaui island, it is easy to ask around and arrange tours. - Smart has limited network signal in Palaui (no LTE but I could send out a few texts on some parts of the island). - bring insect repellent (if spending a night at homestays) and power banks or extra batteries as power supply is limited. 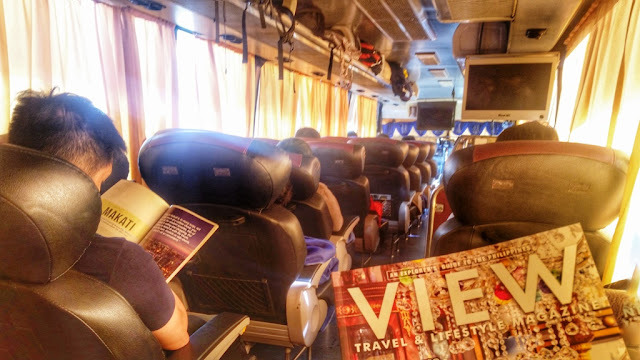 - bus fare from Victory Liner Kamias to Tuguegarao is 850 PHP, first class. Travel time is 11 hours (as of January 2016). To shorten travel time, you can also fly to Tuguegarao or Laoag from Manila via PAL (flag carrier of the Philippines) or Cebu Pacific (budget airline). After months of traveling with friends and meeting new people, it was time again for a much needed "me time" that involves a little hiking and eating awesome food! With limited time to plan, I decided to go to Baguio and Bataan. These are actually 7 hours away from each other by bus but both have destinations I've been wanting to visit, Mt. 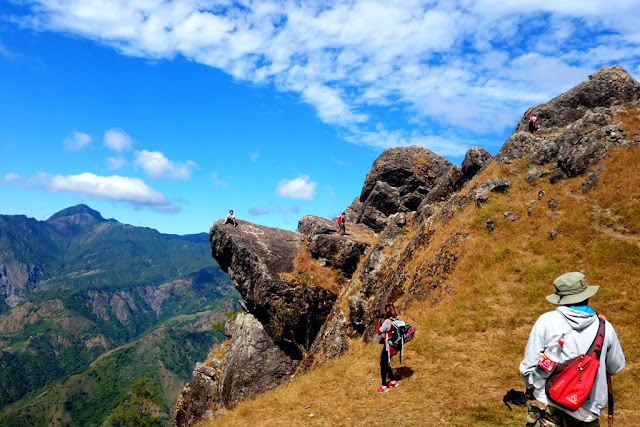 Ulap in Benguet and San Miguel Peak & Stregato Gelateria in Bataan. 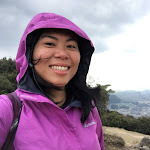 To maximize my leaves at work, I compressed my visit to Baguio and Bataan in a 3D 2N itinerary which I'm sharing with you. It's a little tight on the schedule but I got the kind of experience I wanted. :) I encourage you to tweak this itinerary to suit your preference. I also included suggestions on alternative destinations to help you plan your next adventure. - Early Dinner at Ili Ilikha Artist Village. Ili Likha is a cluster of creatively decorated food stalls serving healthy comfort food. The entire place itself is an artwork! Some food stalls open at 9:00 AM - 7:00 PM (some close at a later time). One of the food stalls I frequent is Urban Kamote. Its specialty is balbacua, a very tasty soup dish in Southern Mindanao, similar to beef stew. *Meals start at 60 Pesos. - Visit Burnham Park. I never get tired of visiting this place because here you can people watch and grab some street food like strawberry taho, ice cream and dried manges. There's also a dancing fountain and light show that starts around 6:00 PM. NOTE : As an alternate IT, you can leave Manila at night so you can have a full day in Baguio. A good source of travel information is Go Baguio. Consider your hotel's check-in time as not all hotels can accommodate you earlier. If you leave Manila by 11:00 PM, you'll most likely arrive before 5:00 AM the next day. For a super early grub, try Pizza Volante and Zola Restaurant, both along Session road and Good Taste (Cariño St., behind Baguio Center Mall). These are all open 24 hours as of this writing. 8:45 AM - Arrival at Brgy. Ampucao. From the highway, walk towards the direction of Ampucao school to get to the barangay hall. You need to register and get a guide (400 PHP for group of 5, day hike). 9:00 AM - start hiking. Our route was a traverse from Brgy. Ampucao to Brgy. Sta. Fe. The trail approaching Sta. Fe is steep and slippery, not ideal for those with knee injuries but what makes it exciting is seeing the sacred Pong-ol burial caves along the way and crossing several hanging bridges. 12:30 PM - End of hike. There is a wash up area before you exit the highway where you can change clothes and grab quick meals. If exiting from Sta. Fe, public transpo back to Baguio can be challenging as most vehicles that passed by were already full so my guide and I just hitched a ride back to Brgy. Ampucao where there were more trips. 3:00 PM - Take jeep back to Baguio. - Check in at Benguet Prime Hotel (1,200 PHP, single bed). This hotel is shabby but it has a good location along Session road and is close to banks and the stores. The customer service is amazing. They make you feel at home. :) Complimentary breakfast is satisfying too. 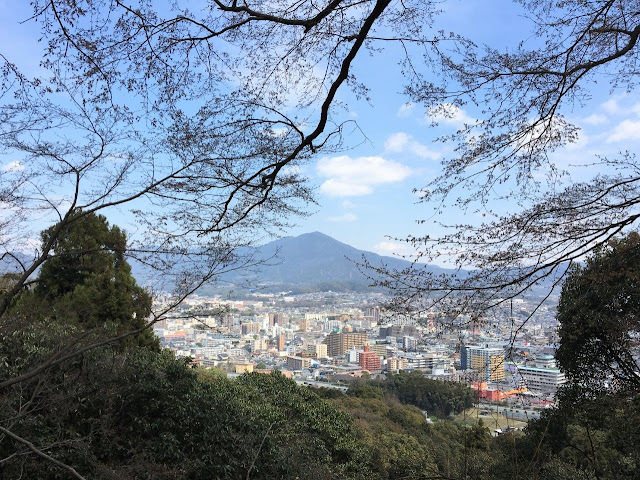 Visit Mt. Cloud Bookshop (Casa Vallejo, Upper Session Road, back of SM). This bookshop is a good place for perusing works of local writers. Within the same building are Casa Vallejo (one of Baguio's10 oldest institutions turned into a boutique hotel) North Haven spa (a friend loves their massage services! ), Cinematheque (a screening area for independent films) and Hill Station, one of the city's most popular restaurants. Travel time to Mariveles took 7 hours. Tip : Instead of traveling to Bataan,you can choose to explore the rest of Baguio on the third day. Links to alternative Baguio IT can be found below. 6:15 PM - take bus to Balanga (around 20 PHP). NOTE : Also near the bus station in Mariveles is Pupung's Grill, a recommended place for dining with a beach view. 7:15 PM - arrival in Balanga. Take tricycle to Balanga plaza (8 PHP). *Plaza Mayor de Balanga is a beautiful complex with a design inspired by a UNESCO World Heritage site, Plaza Mayor in Spain. It also has a dancing fountain and light show in the evening. 9:00 PM - took the last trip from Balanga to Cubao via Bataan Transit (200 PHP). 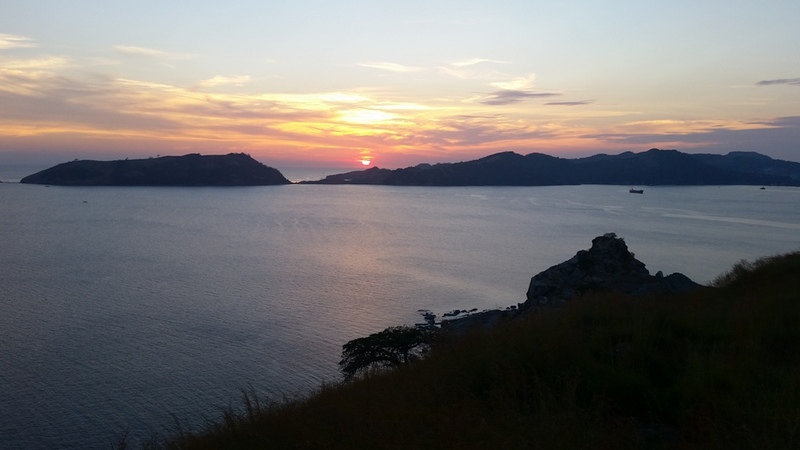 There are several accommodation in Mariveles and Balanga town proper. You can stay for another day (Links to possible side trips below). How to Get to Baguio from Cubao/Pasay? Joy Bus is the executive coach of Genesis transport company. The seats are comfortable and has a more spacious leg room. You also get a free snack and bottled water on board. Blankets will also be provided. Tip : Get a seat farthest from the restroom. Bus tickets for Joy Bus can be purchased at the Genesis terminal in Cubao or Pasay. You can also book tickets online via iWantSeats. Fare is 720 (as of June 2016). Travel time : 5 hours via TPLEX. Victory Liner is another reliable bus company that has terminals in Cubao and Pasay. Website. Fare is 450 PHP from Cubao terminal. Where to Stay to Baguio? For cheap accommodation near upper Session Road, try Hotel 45 Extension (near the back of SM). Rates start at 1,000 PHP off peak season. Peak season are bookings that fall during Panagbenga Festival, Philippine holidays. *There are two branches of Hotel 45 identified as "main" and "extension". Main is at the heart of Session road and is much older. I prefer staying at Hotel 45 extension which is near Upper Session road, behind SM and walking distance from my favorite bookshop, Mt. Cloud. 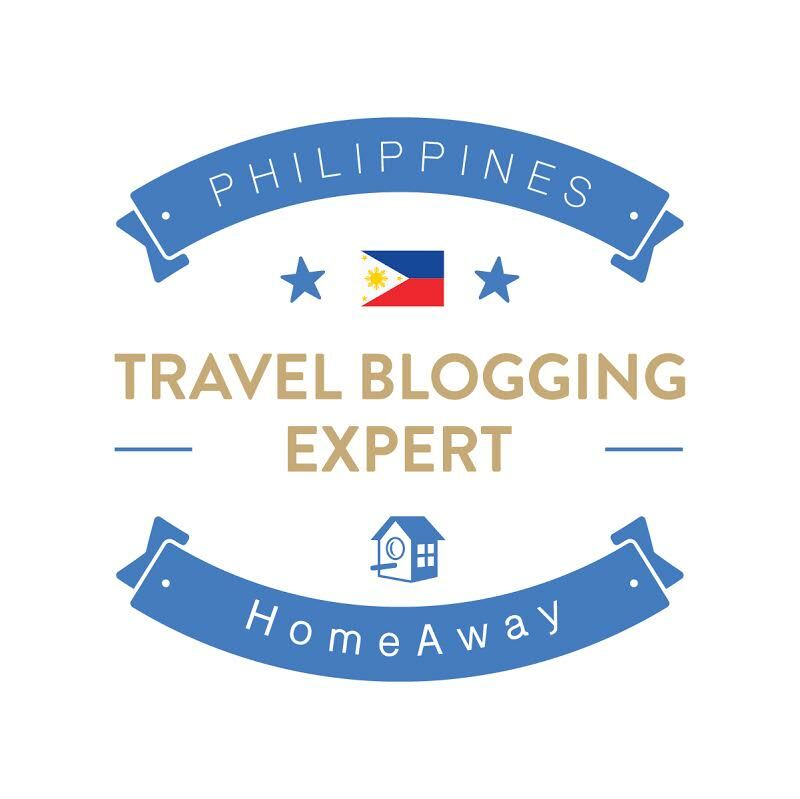 For other budget accommodation, check out this post by Senyor Lakwatsero which I found quite helpful. *Check out discounted hotel rates in Baguio via Agoda. Places to Visit around Baguio? 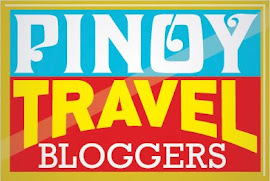 Lakad Pilipinas - Baguio City Travel guide. Ili Likha Artist Village - Assumption Road (Map here). This street is near Session Road, on the same side as Don Henrico's and Baguio Cathedral. Meals start at 65 PHP. Check out 15 amazing Baguio City Eats. How to Get to Bataan from Cubao/Pasay? Genesis has terminals in Cubao and Pasay. Bataan Transit has a terminal in Cubao. Genesis Bus terminal in Cubao, map here. Fare to Mariveles is 290 PHP (aircon bus from Cubao via Genesis). How to Get to Bataan from Baguio City? There is a Genesis bus from Baguio to Mariveles. Fare is 522 PHP and travel time is 7 hours. The terminal is along Governor Pack Road. Where to stay in Balanga, Bataan? There are several inns and hotels in Balanga. I've stayed and enjoyed my experience at The Plaza. :) You can book on Agoda. You can also find a listing of other hotels with discounted rates on their site.